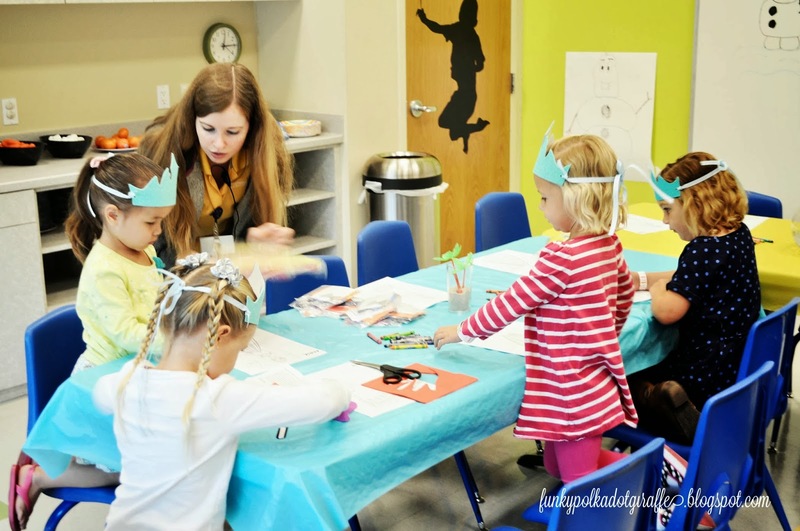 Funky Polkadot Giraffe: A Frozen Princess Party at Pretend City! 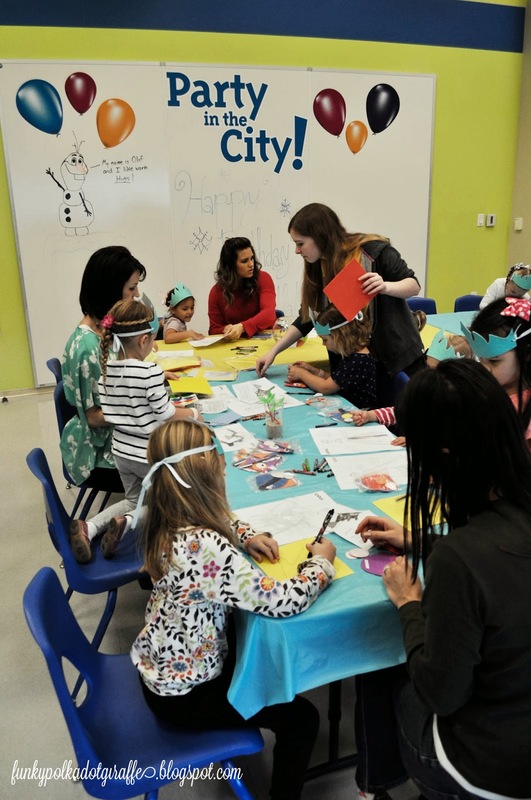 A Frozen Princess Party at Pretend City! 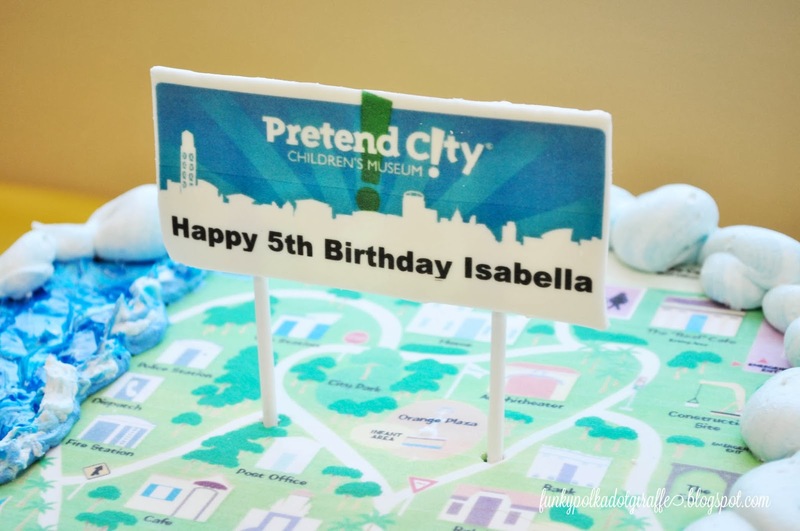 Disclosure: Pretend City sponsored this party for Isabella. All opinions are my own. at Pretend City and I wanted to share about our awesome experience! It was honestly the easiest birthday party that I have ever thrown. setup and ready for the party guests to arrive. as well as crayons for them to use. 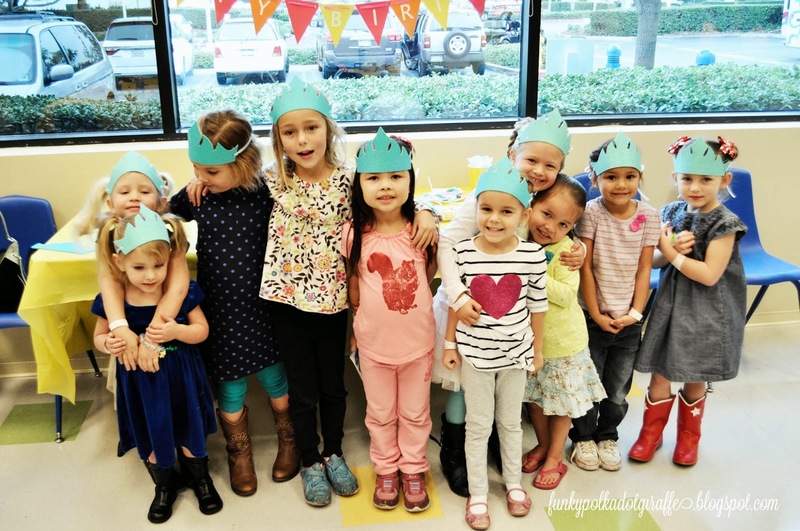 Isabella insisted that the party was an Elsa Frozen party. I was worried because Pretend City offers two packages - farm and beach. 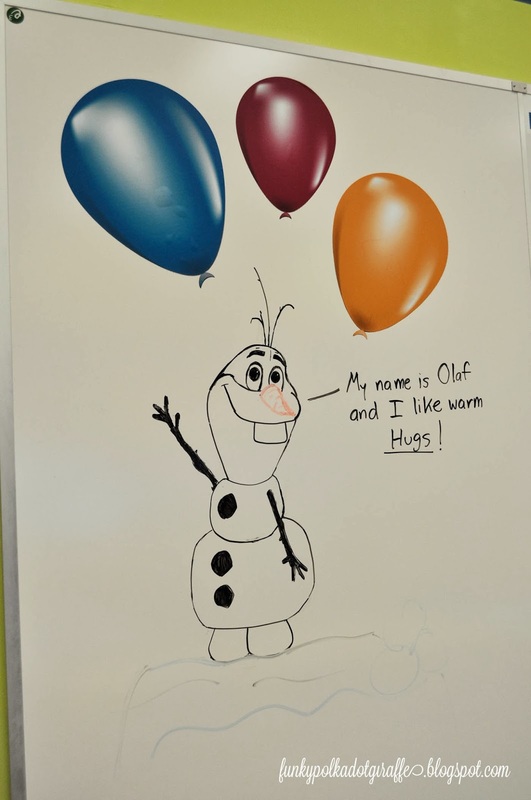 since Olaf dreams of the beach and summer. and the Pretend City staff put music from Frozen on for the girls to sing along with. 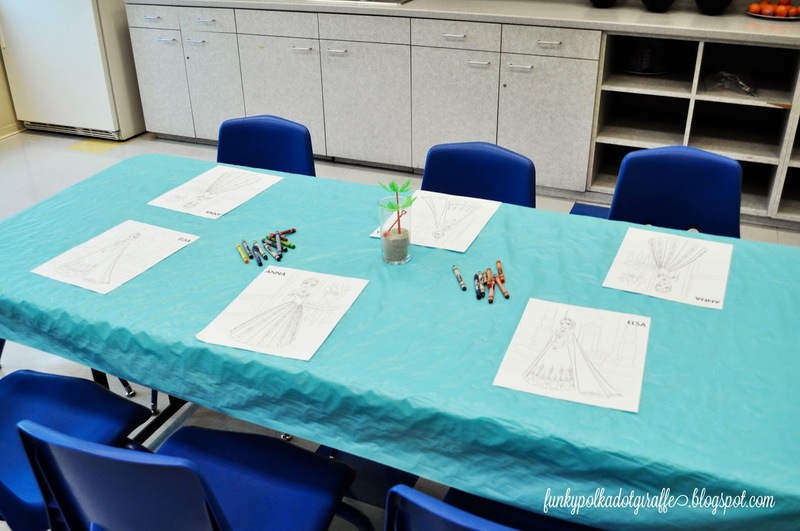 The girls colored their pages as we waited for all the guests to arrive. 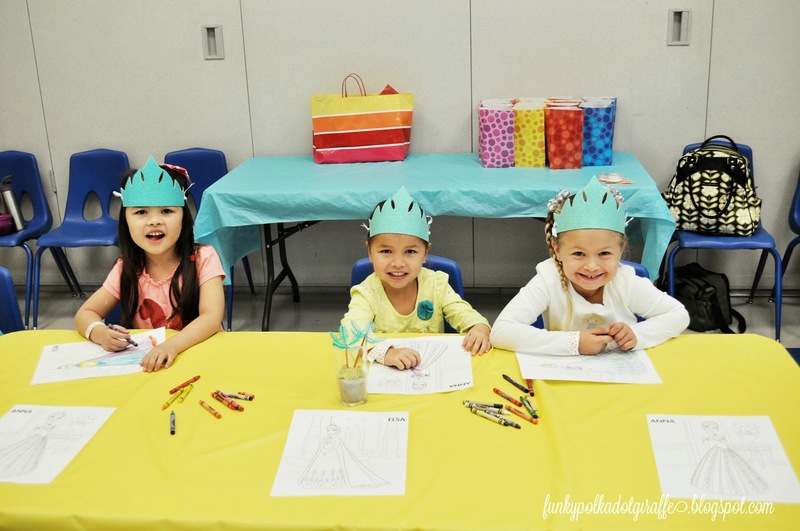 And they each made an Elsa crown with their mom to wear and celebrate in. and started making a summer themed craft with the party host. and enjoy what was going on during the party. the food server, the candle lighter and picture taker. It's quite overwhelming. This was laid back and fantastic! 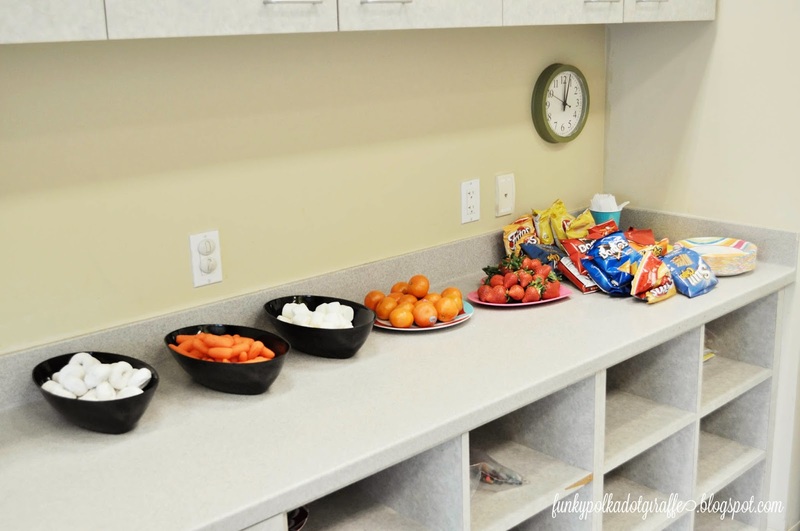 of counter space for your spread. I love that you can bring your own food into Party City for birthdays. So many places that host birthday parties make you use their vendors. Since we had a Frozen beach theme, we went with Isabella's favorites. 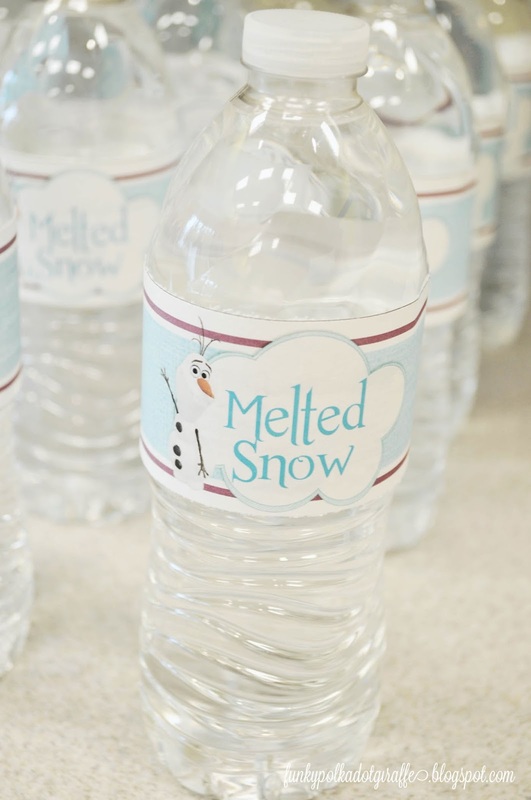 carrots (Olaf's nose), strawberries, chips, and fun melted snow water bottles. After the girls had their fill of the food, it was time for CAKE!!!!!! Let me tell you that the cake was AMAZING. It looked amazing and it tasted amazing. My husband is still talking about it. Isabella chose white cake with strawberry mousse filling. 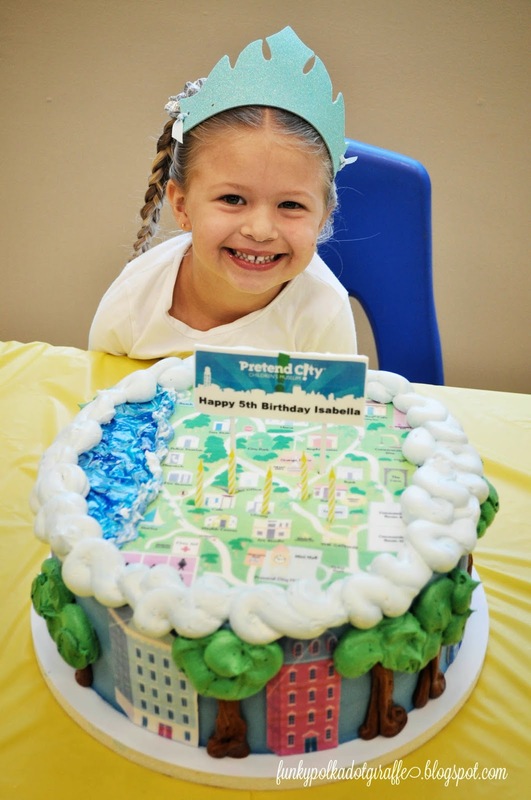 And then the cake is decorated like Pretend City, complete with a map of the city! 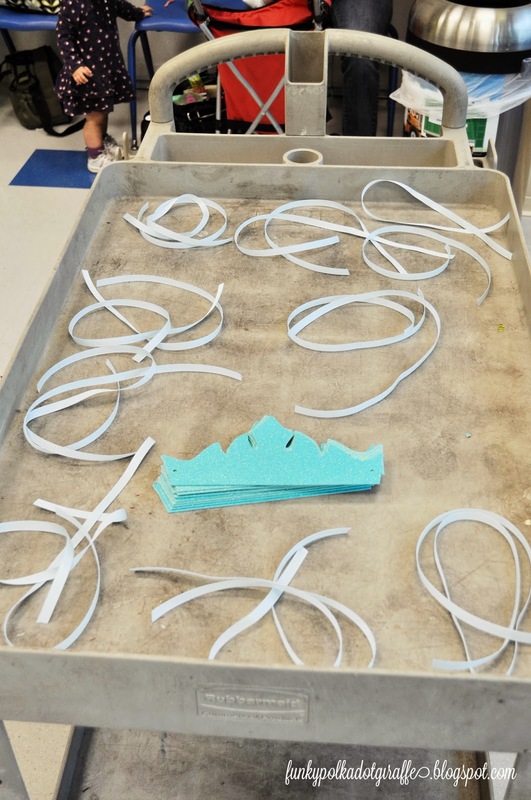 I was truly amazed at what this bakery could do with sugar, frosting and cake! but it is definitely wedding cake amazing in taste and appearance and amazingness. 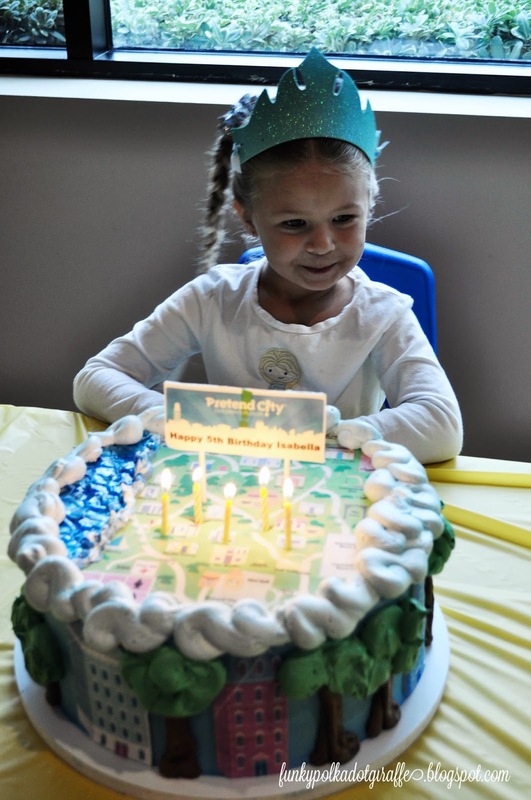 Isabella loved the cake and it made for a gorgeous photo op with the candles all lit up. our party host got everything all set up for us - woohoo!! probably feed 50+ guests, maybe more! Then, we took a fun Princess Elsa group picture with all the cute party girls. 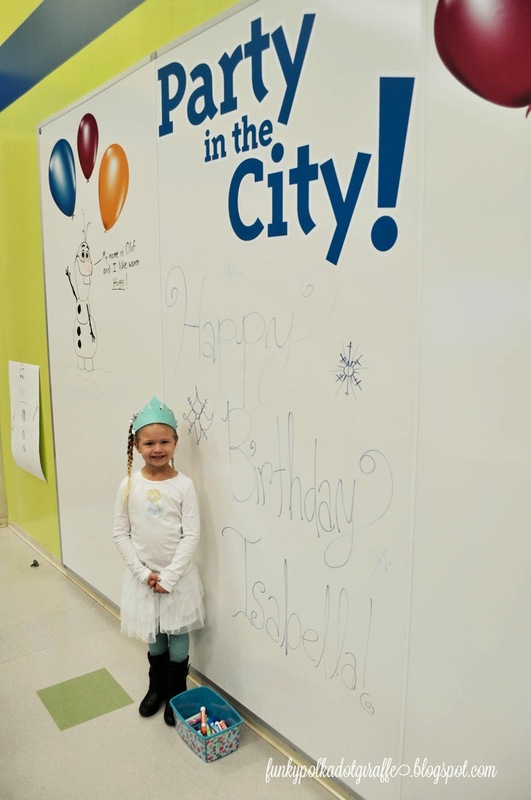 Isabella was thrilled with the day and had so much fun with her friends. She was amazed by the cake and that her party host drew her a fantastic Olaf. to enjoy as much time as they wanted with their adult. We want to give Pretend City a HUMUNGOUS thank you for such a wonderful party. 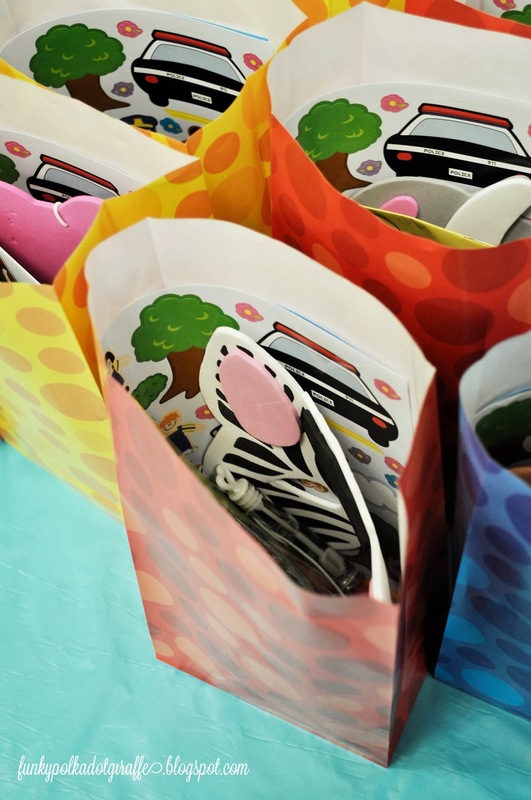 It was stress free and enjoyable for all of the party guests. and most of them headed to the stage to sing and dance and be girly girls. every guest gets a ticket to return to Pretend City on another day! What an amazing party! 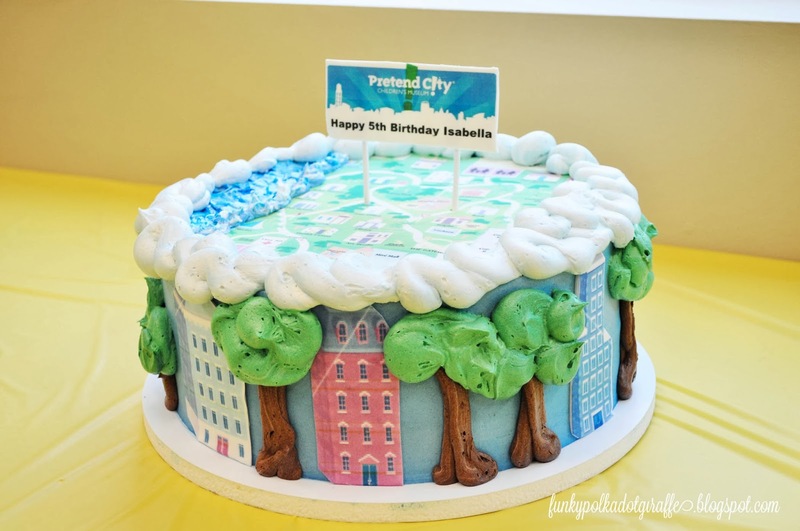 That cake is fabulous :) I'm glad I stopped by after grabbing your SPD printable. Enjoyed seeing all the nice photos. 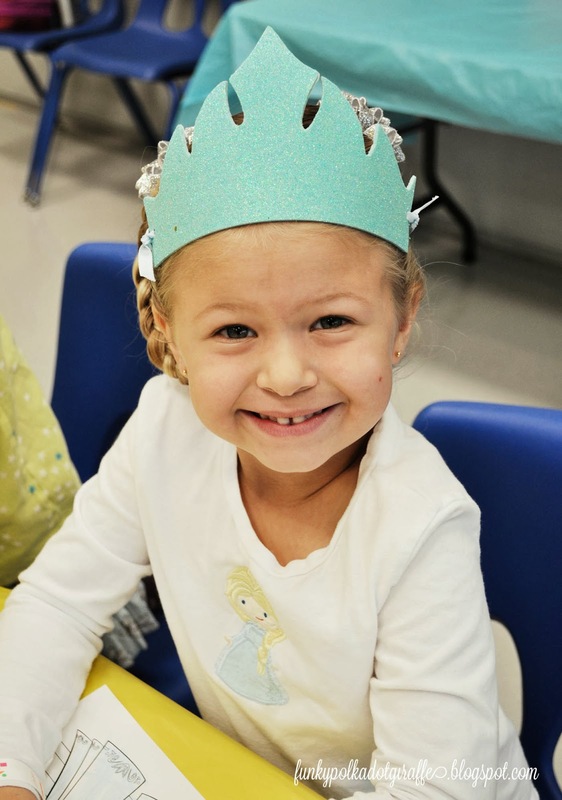 Happy birthday to your little princess - cute, cute!